Welcome on our website! First of all let us introduce ourselves briefly. We are some creative minds from the heart of Europe and our main desire is to make this world a better place by spreading out as much quality graphics as we can. We are a small creative agency located in the heart of Europe. Our company was established in 2013, and since then we have served more than 1000 happy customers from all around the world. 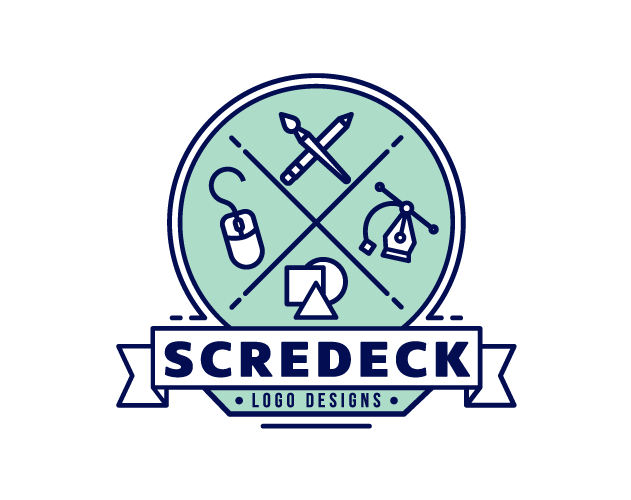 Scredeck was formed with the aim to help small and medium businesses to develop, by giving them the chance to reach a whole new level of visual appeal. We take on several challenges, including branding, identity design, vectorization, illustration, package design and logo design. As the years passed, we widened our creative spectrum, so now we can show to our clients a whole new era of different creative styles. Every project begins as a blank page, and beautiful logos are no exception. That’s why we suggest to take a look into our portfolio, so you can see what we can achieve together. "Absolutely fantastic to work with, and the result is stunning. Friendly, helpful and extremely talented. Would absolutely recommend." "Scredeck's work was fantastic. A true professional, he incorporated our feedback fluently and his turn-around time was amazing. I strongly recommend this talented and easy to work with artist." "Scredeck is incredible. I came to him with an idea and he turned it into a master piece. Not only that, but he worked with my team to make sure it was completed exactly how we imagined. " "Scredeck did a great a job producing exactly what I wanted. I was very picky and he found a way to make it work and provided valuable feedback to help guide me in the right direction. Thank you for the great work. I look forward to working with him again." "Scredeck is an artist with professionalism. This is a rare combination!" "Scredeck was great and fast and got everything I wanted in the first version. Highly recommend him he does fantastic work and will definitely use him again." "Scredeck was great to work with. Responsive with his communications. Very creative in his design thinking. And certainly not afraid to try different things. Would definitely work with him again in the future!" If you want to receive more information about us, our works or if you just want to say hello, you are at the right place! Do not hesitate to contact us below.